This week I posted about the importance of directional concepts for understanding curriculum, and presented a complex website for older students. I thought this would be well-accompanied by a younger cousin of that website (again from the UK), the BBC's Landscapes, hosted by their friendly alien (I think) Goggs. The Landscapes website reviews compass directions with animations, a mnemonic, and practice using NSEW to move Goggs around a campsite and then a maze. If you really want to delve into the language of maps, there are further lessons on topics such as symbols/keys and scales. Also featuring some fun dialectal substitutions such as "torch." 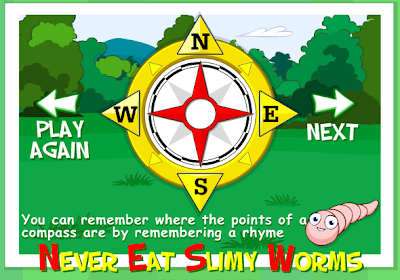 Often our kids have trouble with left and right, let alone the compass points. I always do some activities with kids as these concepts become important in 2nd grade, but they stay important throughout the elementary, middle and high school years. How is one to understand the early American's exploration of the West without the sound concept of West? Our 4th grade curriculum in Social Studies is completely organized by cardinal directions: "Now kids, we are moving on to learn about the Southwest..." Huh? Cardinal Points is a cool site that, though a little confusing even to me, provides a complex activity that could be used to target these concepts, perhaps with upper elementary, middle- or high school students. 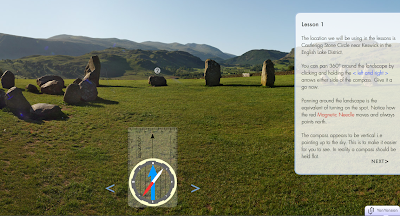 The site has two interactive lessons in which you manipulate a virtual compass to navigate and gain directional information about a location in England. Activities around this site could be ideally accompanied by use of an actual compass (perhaps the one on your iPhone) to navigate the school. The specific directions that need to be followed to complete each lesson make this resource a great context to work on comprehension. 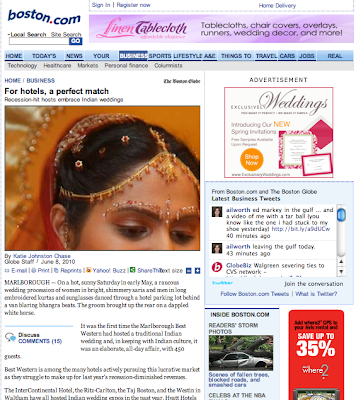 I want to thank my friend Greg Nasca for designing the new banner you see at the top of the blog. The original one was something I whipped up with my limited Photoshop skills (from both a design and technical standpoint), and his revision really amped it up and made it shiny, while keeping the font and color scheme that I loved. Thanks Greg! Huh, I just realized this is my 101st post! Cool. I have been a big fan of iMovie on the Mac ever since I had to learn it really quickly and stressfully to produce a slideshow for my Dad's retirement party. Ever since then I have found it, in its various iterations (we are now on iMovie '09) to be a pretty intuitive way to produce a nice movie. At my elementary school, I became known as "the slideshow guy," and that moniker has followed me up to middle school, though in truth I usually use iPhoto to arrange the photos and music in a way that looks much harder than it is. When Apple announced they were releasing a version for iPhone, I thought that seemed logical and a great idea. -A "goodbye" picture a student drew for me. I love it because he so clearly associated me with Story Grammar Marker, which shows that he "got it"
-A picture I sent to a parent to show how we were using Thememaker magnets to learn the difference between the text structures of List and Sequence. -A map of a local Dunkin Donuts I made before a group community trip in order to talk about the "schema" and expected behaviors for that location. Movies like this one are much simpler to make than you think! 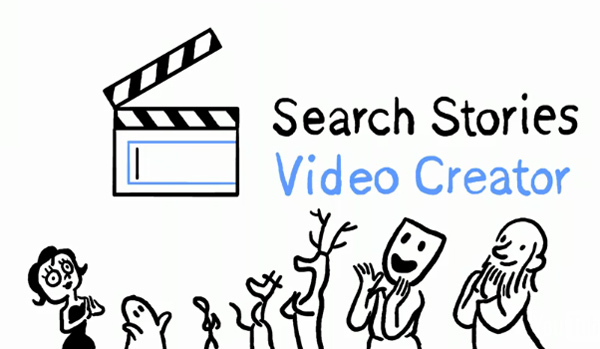 A short movie can emphasize work, concepts, and events to parents or students and would be very motivating to watch. iMovie for iPhone can be used to produce social stories and scripted role-plays, or to provide video feedback on session behaviors. It's a great tool for SLPs! What about you? What is your experience with iMovie and using video in therapy. How would having iMovie on your phone be helpful to you? What to do with our kids with social cognitive deficits who have trouble establishing "reference," such that you or their peers don't really know whom they are talking about? On the flip side, what else can we do to cue the ones who spend hours and hours in spaces with other human beings and retain no information on them, perhaps even neglecting to to learn the names of teachers and other oft-seen peers? Check out my post on social thinking and the story grammar element of character, over at the Mindwing blog. I don't know how many of you are caught up in the madness excitement that is the iOS4/iPhone 4 release, but I sure am. My device is a 3G, so this is a big upgrade, not only to the video features that I didn't have, but also new amazements such as multitasking. I put my 3G up to the new operating system on Monday, and was impressed by some of the new things that it could do, but mostly frustrated by what it couldn't. I was lucky enough to get through and order my iPhone 4 last week, and it came today (a day earlier than for anyone who has to wait at an Apple Store tomorrow, which by the way I wouldn't/couldn't have done). Soon I will have a post about what all this means for SLPs who have an iPhone 4 that can access everything in the new operating system, but for now I will just share with you the joy of...unboxing! And it's nice now to be able to have my old 3G serve basically as an iPod touch, so I can hand it around to kiddies with a little less nervousness. How about you all? Thoughts on the releases? -Exposure to complex language, vocabulary and sentence structure that exceed what the child could read and comprehend independently. -Providing a motivating context to build auditory comprehension. -If accompanied by the book itself, fostering reading fluency. the books their peers are reading without becoming frustrated, thus (hopefully) continuing or developing a love of reading. All this said, access to audiobooks traditionally has been logistically tricky. They are expensive, and public library offerings could be limited, only on tape, or necessitating a CD player, etc. 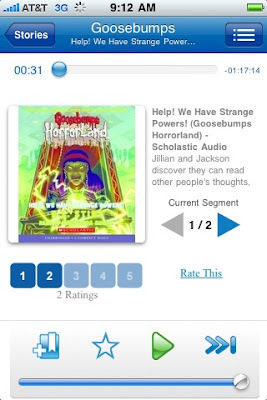 and free 30-day trial subscription (after that it is a whopping $2/month) for their service, which offers streaming audio of children's books from a wide variety of genres. I tried it out and it works great! Hope you will check out this great app, highlighted today on Momswithapps. Sites don't need to be all flash-animated and drag-and-drop in order to represent a good context for therapy. Time Magazine's recent 50 Worst Inventions is a case in point. The site presents a hysterical array of bad ideas in the form of a clickable list, often followed by great images and YouTube clips of commercials for the products, which range from HeadOn (Apply Directly to the Forehead!) to the Comfort Wipe (don't ask) to the Segway. I have used similar lists with groups of students who just love talking about marketing successes and failures, whatever their skill level. Enjoy vio (I can't make an upside-down i on this computer). 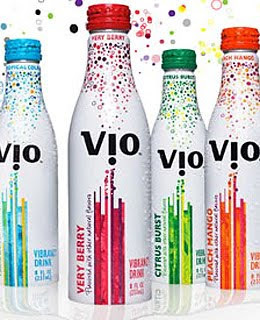 It's Coke's brainchild- "carbonated flavored milk." Ew. Some of the topics could benefit from a quick Google so your students get the full picture of, say, what Microsoft Bob operating system was all about. But that's easy enough! The site's descriptive text and video provide a great opportunity to develop information mapping skills and other comprehension strategies. Real world connections can be used to develop background knowledge and schema. A possible extension activity could involve students creating their own "bad idea" inventions, or oral presentation "commercials" for these products. 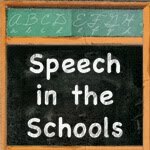 I finished my SLP master's in 1999. I don't know about you, but I sometimes worry that all the content I learned at that time is being eradicated by less important clutter in my brain, such as reality TV show plots, others' Facebook status updates, etc. One very positive movement in educational circles aims to promote more useful brain-stuffing- I am speaking about the development of Personal Learning Networks or PLNs. If you are reading this post, you sort of already have one. Hi! A PLN refers to the set of interactive resources we follow and participate in, whether they be blogs, Twitter feeds, and even your Facebook news feed, depending on what you put in it. I'd like to discuss PLNs more at a later time, but let me recommend one fun and interesting blog here, You Are Not So Smart. 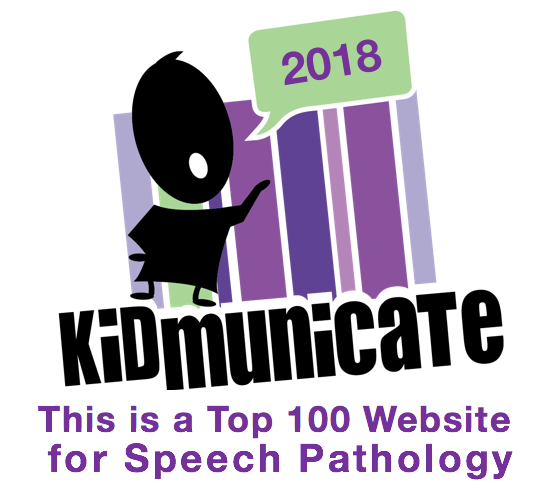 This rather humorously titled blog discusses popular social psychology, and often hits on topics related to communication. You might be especially interested in recent posts on fake smiles and narrative memory. 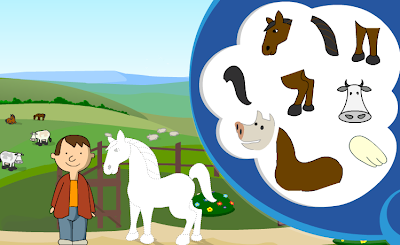 Playing with Plants and Animals is a cute resource for younger students from the e-Learning for Kids site. The activity has two sub-sections in which you reconstruct a plant or animal according to its parts. This activity could be a good supplement or tool to teach students the strategy of describing an object according to its parts. In these months where the sun's strength is at its peak (at least in the Northeast), Save your Skin could be a nice language activity. The activity provides information about the sun's rays and chemicals used in sunscreen, then lets you "mix" up a sunscreen and test it out. 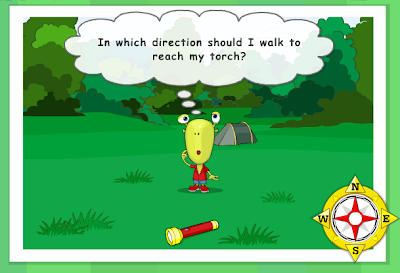 In addition to promoting healthy sunning habits, understanding of cause-effect, and reading comprehension strategies, Save your Skin would connect to curriculum areas around energy/light, chemistry, and human anatomy. Technical Note: This site uses the Shockwave Player, and appears to work better in the Firefox browser on Macs. Apple web browser (also available for PC) Safari 5 was released yesterday, and has a nice new feature that reduces ads and other distractions on pages that contain articles. Though images related to an article are clearly helpful to our students, having one's brain pulled in a million different directions definitely is not. 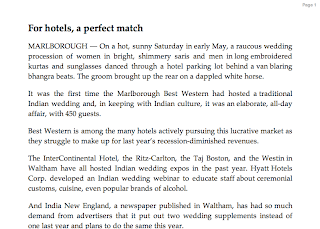 This feature only works on article-based pages, though I have no idea how it determines when to work (probably RSS linked)- you will know you have the option when the page fully loads and you see the Reader button at the far right in the address bar. Very cool. 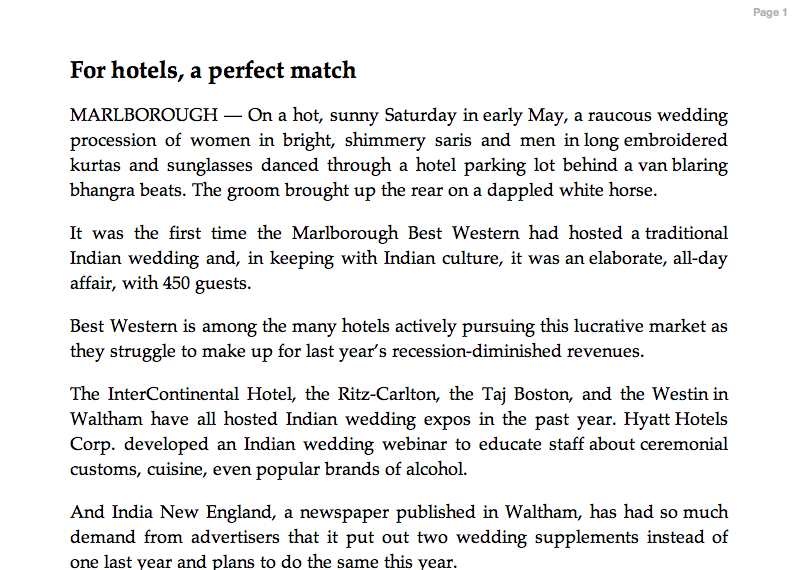 If you are not at all a Safari person, a similar effect can be created with a simple install of the bookmarklet available at Readability. Wonder Pets! Save the Day is a cute interactive arcade-style game from Nick Jr. that would be a good activity for kindergarten-level students. 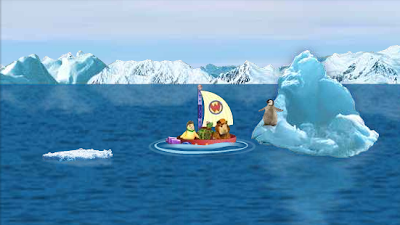 Players get to choose a mission- an animal needs to be saved-dress the pets, assemble their boat, and rush to the rescue! The arcade controls are extremely forgiving, so it's unlikely that you or the kids would get frustrated. Some odd music here- I wonder if the Wonder Pets! should burst into song quite that much, but I bet kids would love it. This activity relates to a number of curriculum-based categories younger kids need to learn, such as animal habitats and living vs. nonliving things. 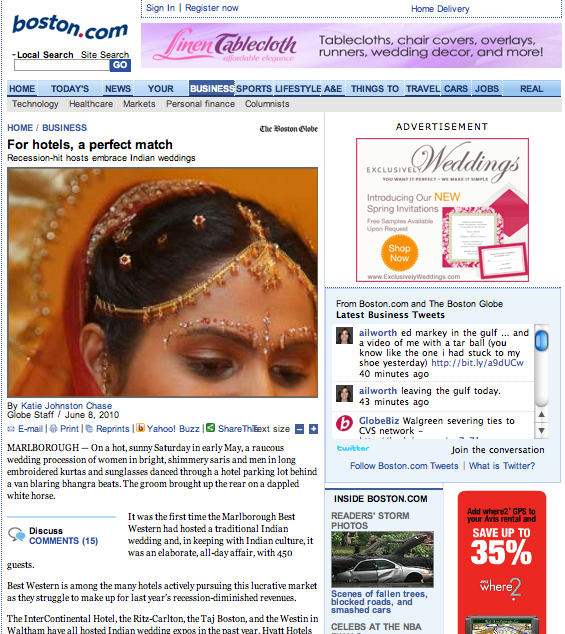 Additionally, part-whole relationships and basic categories such as clothing are targeted. The arcade game provides a good opportunity to model spatial (up/down, right/left) and temporal concepts (before/after). Please venture over to see my post on the Mindwing blog about Google Search Stories. This is an incredibly easy and engaging tool that you/students can use to create short movies that demonstrate narrative and expository structure. Enjoy! Here's one I created while playing around with the tool. It retells the first few epsiodes of one of my favorite shows, Alias. What? I admit I am a nerd. Who Pooped? is a totally gross, yet strangely beautiful activity from the Minnesota Zoo. The graphics and interface are gorgeously simple in this interactive about animal digestion- it's sort of like a pop-up book about poop. As much as we might want to say, "Oh, gross...totally inappropriate," fact is, zoology has not a little to do with animal waste, and this is part of the curriculum. I know my district isn't the only one that does an owl pellet dissection unit in 5th grade. You know your kids will be enthralled; hopefully you can stomach it! Thank you to Larry Ferlazzo for mentioning this resource. 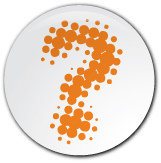 Clear cause-effect and seqential relationships are embedded in the information about animal feeding and digestion. 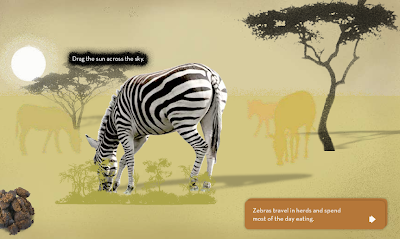 The interactive aspects (dragging sun across the sky, feeding animals) are likely to make it easier for students to remember facts about the featured animals. This could be a good jumping off point to make an art project or book about...uh, other aspects of animal description. "Who shed?" or "Who passed by?" could be used with animal coverings or locomotion, for example. 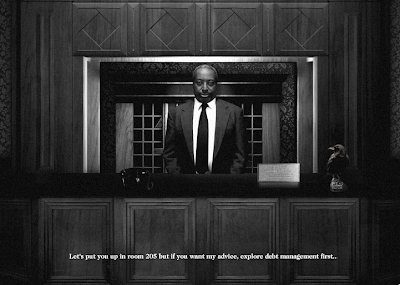 It's not quite as scary as that hotel from The Shining. 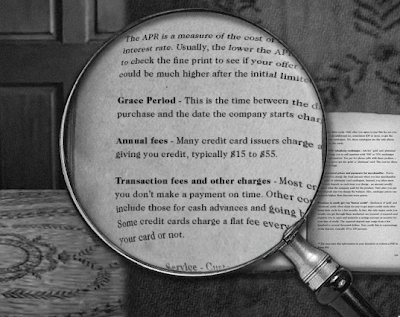 The Bad Credit Hotel from the US Treasury would be a fun exploration for MS/HS students, particularly after providing a background context, perhaps with the engaging Common Craft video on Borrowing Money. 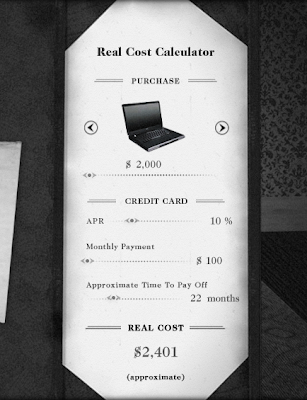 The site provides you with a creepy/funny tour of a number of aspects of credit, and would be especially appropriate for students studying some functional math or budgeting, etc. 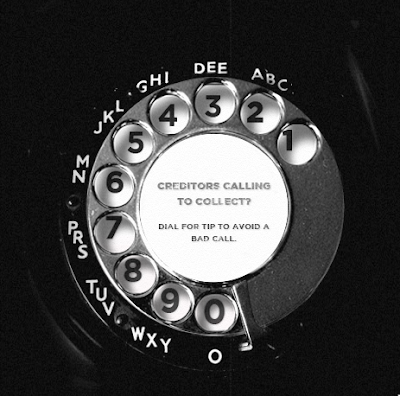 Overall it can be a little texty, but there are some great interactive features as you can see below, and some videos such as advertisements about using credit wisely. Any resource that provides information in a visual and interactive manner would be ripe for teaching comprehension strategies such as information mapping and higher-level categorization (e.g. looking for text structures such as lists and cause-effect). Many museums, parks, etc have great interactives that approximate the experience of going to the place itself! Colonial Williamsburg has a surprisingly generous range of interactive games and activities that are well worth exploring for elementary or students who are studing colonial history. 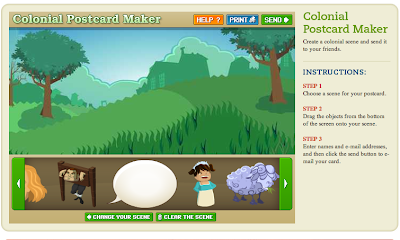 Colonial Postcard Maker can be used to construct a historical scene, thus targeting storytelling skills in context. 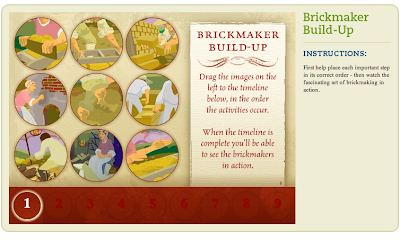 Use Brickmaker Buildup to address goals around describing complex processes/sequences, while providing exposure to background information about colonial jobs. 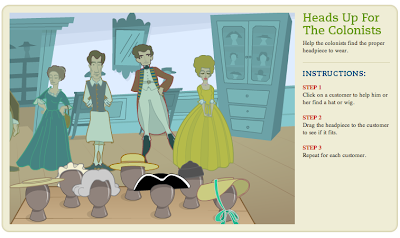 Heads Up for the Colonists is another activity that speaks to how clothing related to vocation and social standing in colonial times. We need not go far to find engaging, free activities that allow students to use classroom language and concepts in creative ways (thus targeting thinking skills on higher levels of Bloom's Taxonomy).